Tamago Boro (Egg Biscuits) are very popular snack in Japan, especially among kids (from 7 month babies to toddlers)! 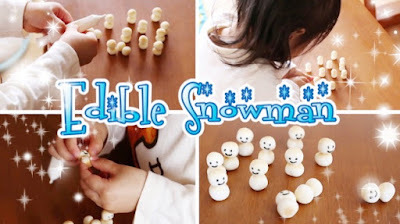 One day, my daughter attached two pieces together and said "Yukidaruma (snowman)"! So I glued them together and drew eyes on it.